Chalet Peclet has very easy access to the superb snow-sure skiing of Val Thorens. It is only 75 metres (approx) from the Stade draglift and another access piste runs just above, making it possible for capable skiers to virtually ski back to the door. 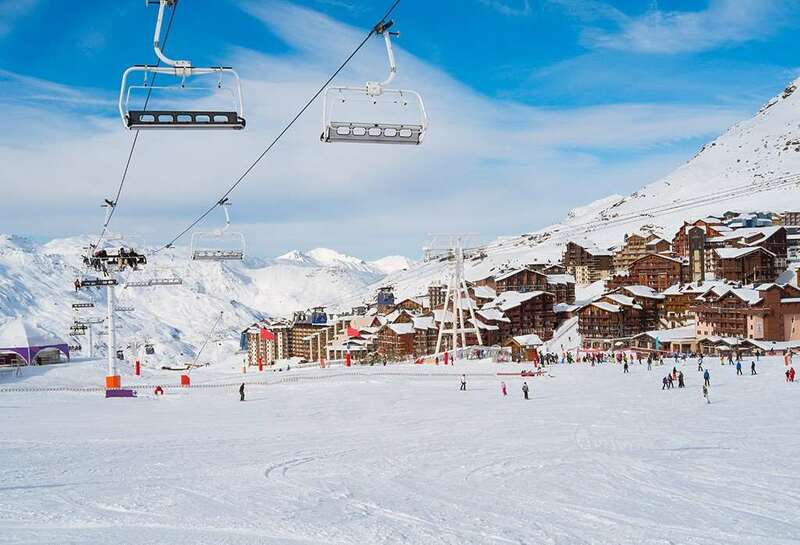 The ski school meeting point is 200 metres (approx) and the lively bars and restaurants of Val Thorens are 100 metres (approx) away. This cosy chalet apartment has proved a runaway success and early booking is recommended. All the rooms are compact and benefit from the comfort of private or en suite facilities. The attractive open-plan living/dining area is decorated in lovely local furnishings and offers a sunny, south facing balcony and fireplace. The nightlife, including the famous ‘Frog & Roastbeef’, is just a short walk away. Just come back from 6 fabulous days skiing in Val Thorens. Chalet Peclet was everything we could have possibly wished for....Laura our host looked after us exceptionally well and is an outstanding cook. The chalet is in a perfect location allowing ski to the door. We would strongly recommend this to anyone wanting good skiing, good food and a warm welcome. 'Ab fab' chalet with perfect access for slopes and the town. It's nothing fancy but it is comfortable and in good condition.